It's A Good Time To Get Away! Celebrating over 20 years of successful excursions to sporting events! Our excursions are a great way to break the normal, everyday routine while enjoying your favorite past-time! Whether you follow Football or Hockey, we've got you covered with packages for the whole family. Follow YOUR Team wherever they go! Welcome to the Magic Kingdom! The most popular theme park destination in the world. Disney now has several locations around the globe to share the magical experience with everyone. 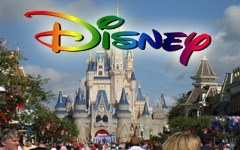 Walt Disney World Resort is the world's most-visited entertainment resort. Located in Lake Buena Vista, Florida, approximately 21 miles southwest of Orlando, Florida, United States, the resort covers an area of more than 30,000 acres and includes four theme parks, two water parks, 23 on-site themed resort hotels, including a campground, two health spas and physical fitness centers, five golf courses, and other recreational venues and entertainment. It opened on October 1, 1971 with only the Magic Kingdom theme park and has since added Epcot (October 1, 1982), Disney's Hollywood Studios (May 1, 1989) and Disney's Animal Kingdom (April 22, 1998). The resort was inspired by the dreams of Walt Disney, who wanted a theme park on the East Coast to supplement Disneyland in California (Disney World's Magic Kingdom was designed similarly to Disneyland). However, Walt envisioned Disney World to be much different from Disneyland's one day visit. This included entertainment, uniquely-themed resort hotels, and a much wider variety of sports and recreational opportunities. In fact, Walt's original plans for the Florida property were far more ambitious: he also wanted to construct a real planned city of approximately 20,000 residents, the "Experimental Prototype Community of Tomorrow", which would serve as a test bed for city planning and organization. Walt died in 1966 before his vision was fully realized, and his plans for Disney World eventually evolved to what it is today. We are a dedicated full-service travel agency. You pick the place, the type of service below and leave the rest to us! Brides and grooms spend so much time prepping for the wedding that sometimes it can be hard to find the time to plan the honeymoon! Chuck Teal from Teal Travel offers some advice for Winging It! Buffalo Style's Wedding Week 2012. What is your favorite Get-A-Way? © Teal Travel All rights reserved.